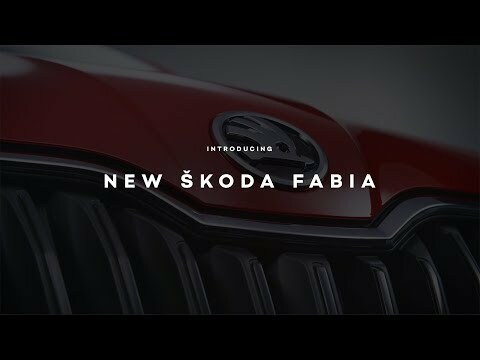 Along with its emphasis on practicality, efficiency and affordability, the ŠKODA Fabia delivers a sleek and sharp aesthetic which leaves a lasting impression. The Fabia comes as a hatchback or estate and is available in five trim variants, so there is something to suit every need. Choose from an array of striking body colours, alloy wheels and two-tone interior upholstery to express your individual style! The Fabia’s front end is sculpted by a broad grille which features ŠKODA’S characteristic LED crystalline headlights, giving this hatchback a bold and dynamic look that will announce your arrival at every turn. Adding to its assertive character are LED daytime running lights, rear signature C-shaped LED tail lights and striking alloy wheels. For a truly premium touch, opt for the range topping Monte Carlo model which features 18-inch alloy wheels and an inspiring panoramic glass roof - giving the feeling of added space. With a strong focus on efficiency, practicality and style the all-new Fabia is certainly set to turn heads. Combining crystalline shapes and sharp lines the cars chrome-framed grille and headlights appear optically stronger while the wide-set fog lights embedded low in the bumper and the cars contoured bonnet establish a broader stance giving this model version a much more powerful presence on the roads. Inside, you will find a clear and functional layout with a state-of-the-art infotainment system, operated via a 6.5-inch touchscreen. Connect your smartphone via ŠKODA’S innovative SmartLink+ technology and enjoy your favourite music on the go, make and receive phone calls and access SatNav. Higher specification models benefit from Bluetooth connectivity and a Wi-Fi hotspot, allowing you to stay online at all times. Across all models, safety is integral with driver-assist technology such as Blind Spot Detect, Rear Traffic Alert and Auto Light Assist included as standard. Achieve true peace of mind with Adaptive Cruise Control, City Emergency Brake function, Hill Start Assist, fatigue alert, rear-view camera and parking sensors - equipped in higher models. Despite its compact proportions, the Fabia boasts one of the largest boots in its segment (330L or 530L in the Estate) along with an abundance of cabin space which can easily accommodate five occupants and luggage. Thanks to ŠKODA’S ‘Simply Clever’ solutions, you can find practical touches throughout including an ice scraper, an umbrella, USB charging ports and tablet holders in the rear, so you have everything on hand to keep the kids entertained! An agile and efficient performance is delivered through a choice of three 1.0-litre three-cylinder engines including two TSI engines and one MPI engine producing power outputs of 75PS, 95PS and 110PS. The most powerful engine (110 PS) is also available with an automatic 7-speed DSG for a truly responsive drive. Both TSI engines have been fitted with a particulate filter to reduce emissions. With a compact footprint, generous interior space along with practical storage solutions, the ŠKODA Fabia is the perfect partner for everyday life and leisure.